Make Create Innovate will be working with the National Museum of Ireland during 2019 and 2020. Make Create Innovate will be working with The Ark on various projects during 2019. The Schools Excellence Fund - Digital Learning Clusters, is a national programme, funded by the department of Education and Skills, which aims to implement the Digital Strategy for Schools (2015 – 2020) Enhance Teaching Learning and Assessment as set out by the Department of Education and Skills. 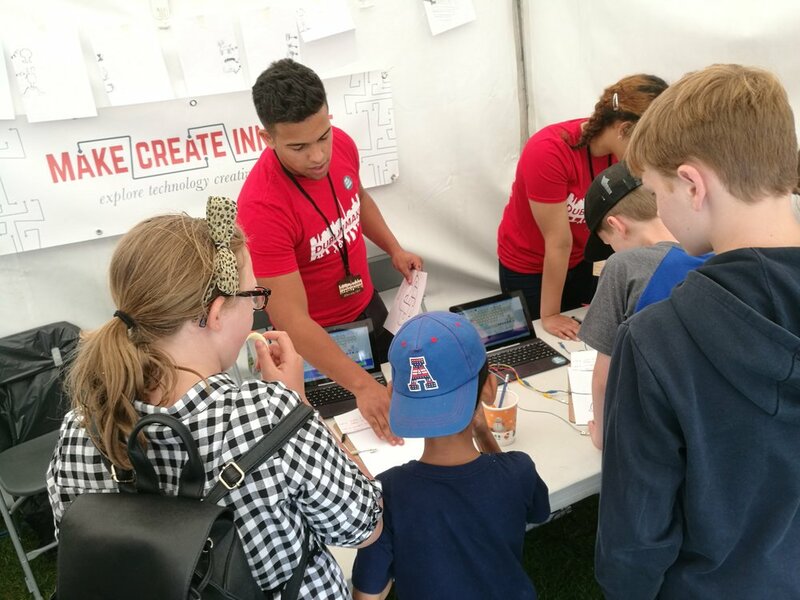 Make Create Innovate have been invited by a cluster of four schools; Cork Educate Together, Firhouse Educate Together, Clonturk Community College and Malahide and Portmarnock Educate Together, to work together to set up a Makerspace in each school. 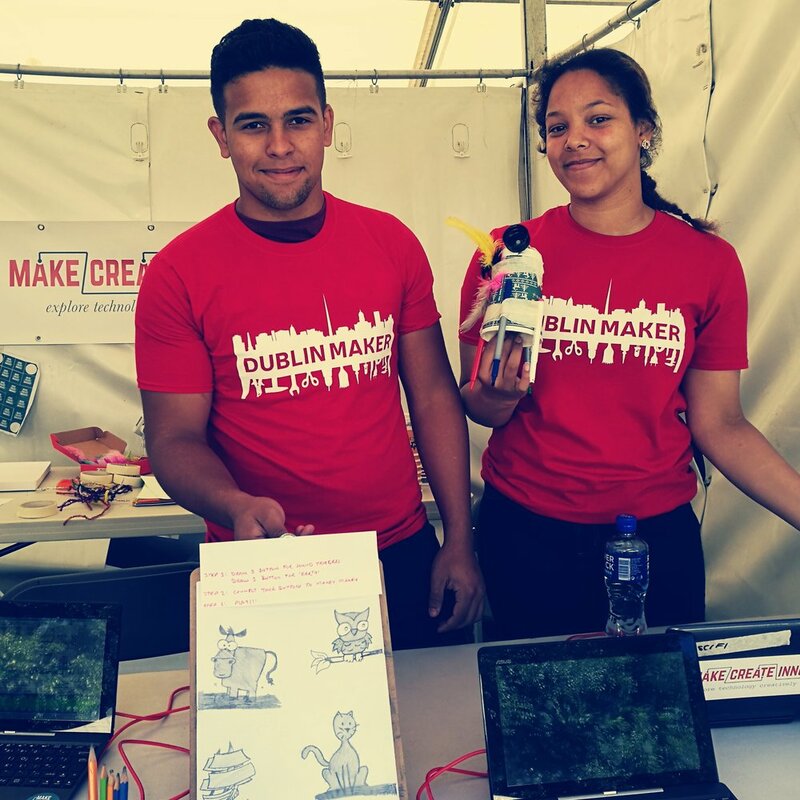 Make Create Innovate hosted ‘Electro Lab’ at Dublin Maker, packed with interactive entry-level activities facilitating hands-on experimentation with conductivity and robotics. In collaboration with the artists Rachel Tynan and Make Create Innovate’s Siobhan Clancy (also Make Create Innovate’s Head Creative), Kate Delaney and Shane Byrne developed a set of touch responsive units as navigation tools for the game. During the music-making workshop with Make Create Innovate, learners were asked about their own experience with music and the group was asked what they felt are the most important elements of music. 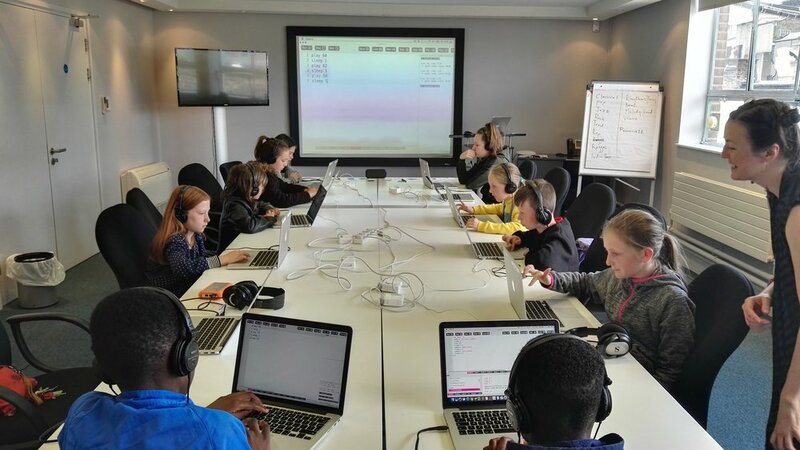 We then began our introduction to Sonic Pi software, learning the basic of coding in order to make sound. The group composed a bassline and followed this by adding beats and further melodies in order to create a finished loop that they brought home with them. During the session learners were introduced to Arduino controllers and were tasked with building their own motion sensor using ultrasonic technology. Learners then brainstormed ideas around designs that they felt they would like to see in the future that might solve some important problems. For example, Stingy 2.0, a robot designed by Blathnaid and Lara, has the ability to scan the human child, replicate them and go to school in their place. Everyone was busy throughout the hands-on workshop, using problem solving and teamwork to complete their designs. A very busy workshop with lots of creativity and focus on design and soldering the tiniest LEDs to light up each card. Everyone rose to the challenge and, while some didn’t get their card finished, everyone had a lot of fun and learned a little about circuitry and electronics. 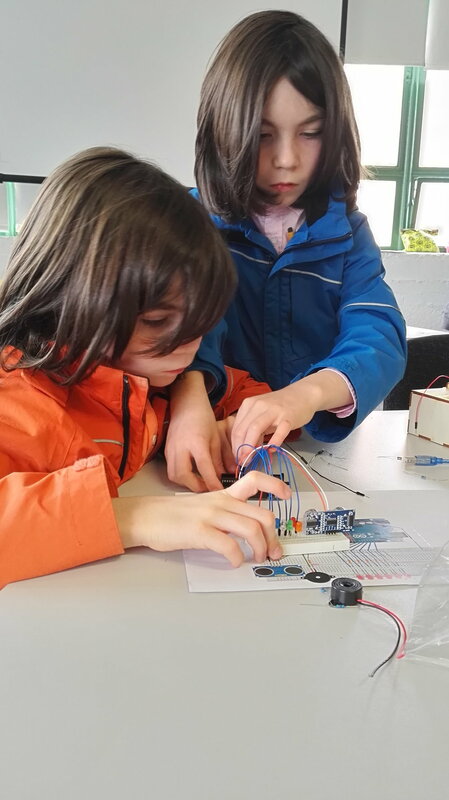 For the February Mid-Term Break, we returned to The Chester Beatty Museum to introduce young people to art and electronics using sensor-based technology with Arduino. 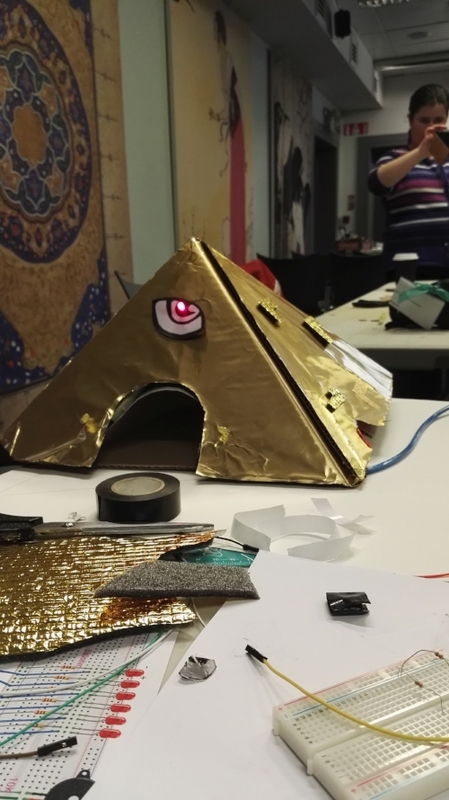 Drawing on the Egyptian collection, we incorporated activities from our recent Maker Residency at Cap Sciences, Bordeaux, and encouraged participants to design and build their own pieces using recycled materials. This hands-on, jargon-free workshop will introduce you to physical computing and show you how to develop and realise art projects with interactive elements. Our artist-maker-educator approach is all about tinkering with art, electronic and everyday materials to learn through experimentation and discovery. Inspired by the great Irish Scientist, Kathleen Lonsdale, we brought our touring educational installation ‘Lonsdale’s Lab’ to south Tipperary for DesignFest 2016. It was a fun evening of science and technology demonstrations and some hands-on creative technology tasters for all ages. From 10th - 22nd of October, the Make Create Innovate team participated in the 2016 Creative Museum Maker in Residency Programme. Creative Museums is a network of 6 institutions, including the Chester Beatty Library in Dublin, exploring progressive museum practices. We were delighted to be accepted by Cap Sciences in Bordeaux, a dynamic science museum that houses 127ª Fab Lab. We want everyone to connect in some way to something they see in our showcase, whether as an electronics hobbyist or as someone involved in education. 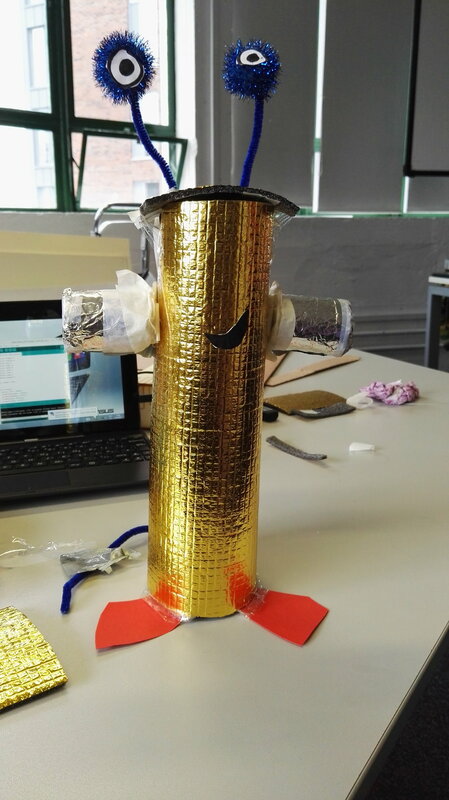 Our projects work towards integrating and enhancing STEAM subjects throughout the primary and secondary curriculum for young people but also for educators across all levels looking to enhance their practice, giving them the confidence to be more innovative in new approaches and encouraging more individuality within their practice. 1. 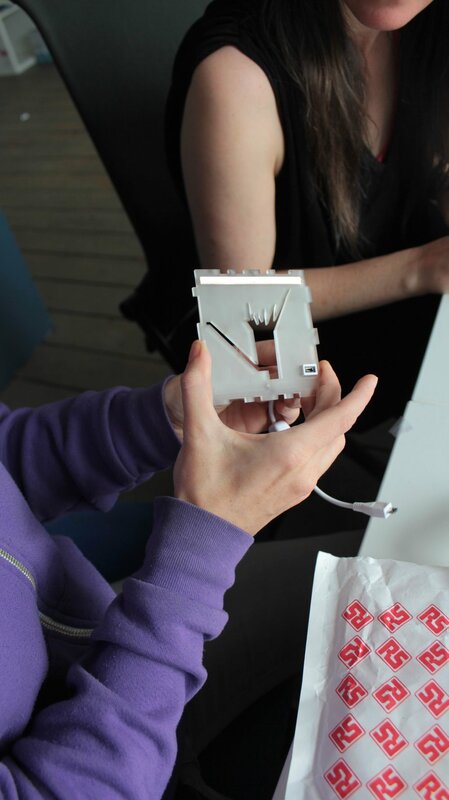 The first proposed workshop uses the ‘Scribblebot’ as a device for exploring surrealist automatism. The programming of a device to perform the task of mark-making evokes the colour line work of Sol Le Witt (exhibited in The Butler Gallery in 1993) as rendered by technicians who are not the artist. Participants will also be encouraged to get creative in the construction of the drawing surface. 2. The second proposed workshop will focus on the material found in the humble pencil: graphite. 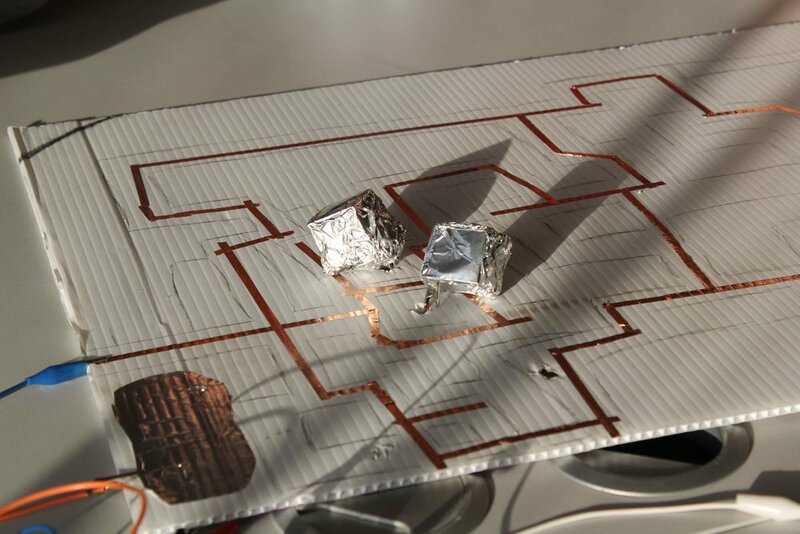 We will explore its property as a conductive medium for electricity and its potential to trigger senses other than the visual in drawings that we make interactive simply and quickly. Ever wanted to make your own BEATS? 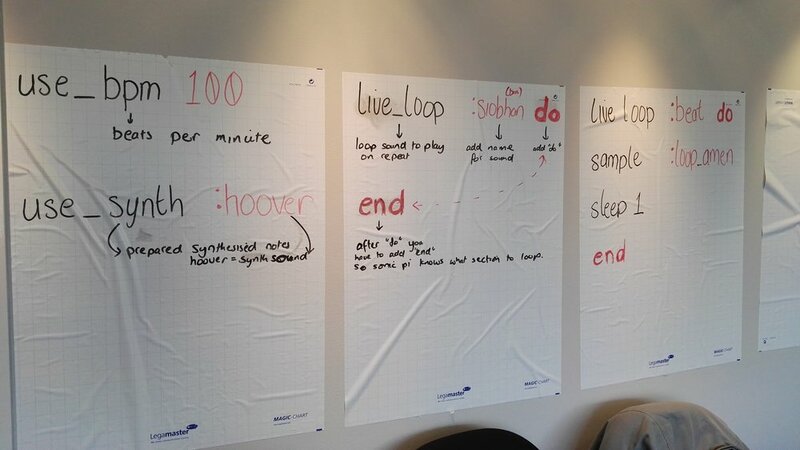 Or get into the inner workings of LOOPS? Do you want to make your own MELODIES and get into to tweaking SYNTHS? This hands-on workshop will introduce you to music making using Sonic Pi, open source software that allows you to make music using code. Even if you have never been too interested in coding before, this workshop will introduce you to key concepts while also being fun, creative, and all about making music! AN INTRODUCTION TO ELECTRICITY - FABLAB, CO LIMERICK. 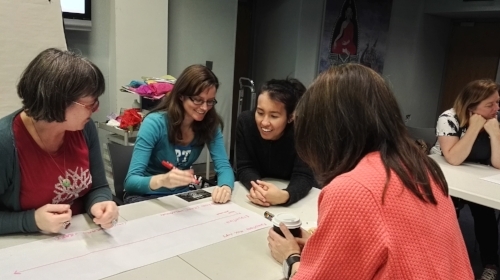 A hands-on workshop inspired by the title of a 15th Century Arabic text 'The Everlasting Cycle of Lights' on display at the Chester Beatty Library. The workshop also draws on medieval science and mathematics exploring planetary systems known as 'the music of the spheres'. Exploring the wealth of history on astronomy and astrology in the Arabic and Latin worlds and how discoveries inspired both Christian and Islamic art, participants will learn about constellations and experiment with their very own light and sound creations. The workshop offers an exciting and creative introduction to scientific principles and electrical circuitry. This workshop is suitable for anyone interested in art, sound, science, technology, photography, astronomy and fun with LEDs!